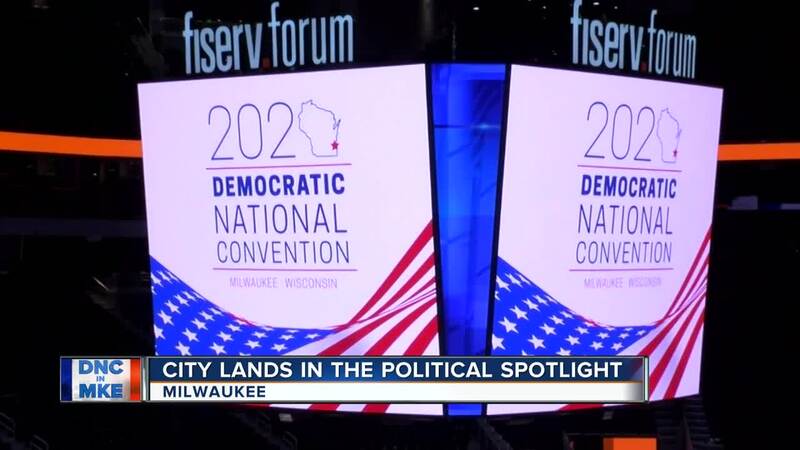 Several factors helped Milwaukee land the 2020 Democratic National Convention , but politics may have played the biggest role. There’s no question Wisconsin is going to be a swing state in 2020. The DNC bid means Democratic candidates will have no choice but to give the state plenty of attention. The list of pros for Milwaukee’s bid may have started with a brand new Fiserv Forum, beautiful summer weather and DNC Chair Tom Perez’s ties to Milwaukee, but arguably the biggest factor comes down to winning Wisconsin. “It’s unlikely that any of these decisions don’t have some political spin to it, so I think it shows the value of Wisconsin in the national election and the effect that it had for the ’16 election,” said Tom Bartnicki of New Berlin. Before 2016, Republicans hadn’t won Wisconsin since 1984. President Trump made several campaign stops in the Badger State. Meanwhile, Hillary Clinton didn’t come once after announcing her 2016 candidacy. Monica Orr was still shocked by the upset. “I was surprised at what happened in 2016 and I think this is an opportunity for us to get it right,” said Orr. What’s viewed by some as one of Clinton’s biggest campaign mistakes won’t happen again under the watch of the Democratic National Committee. “They wanted to come here to show that Wisconsin is important,” said Gabriel Rholl.